AgaMatrix WaveSense Jazz Test Strips 50/bx Case of 12 provide reliable results at a price you can afford. Proven clinical accuracy - AgaMatrix's advanced WaveSense Technology provides accurate, reliable results across a wide range of operating conditions. 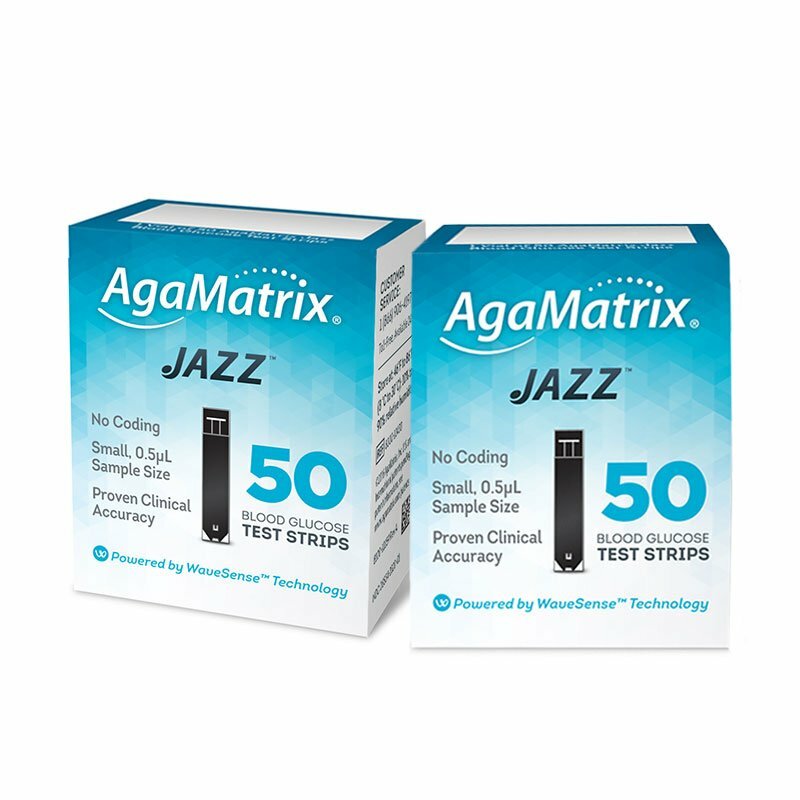 AgaMatrix Jazz Blood Glucose Test Strips - Case of 12 are for use with the AgaMatrix Jazz Wireless 2 Blood Glucose Monitoring System. 12 cases of 50 AgaMatrix Jazz Blood Glucose Test Strips. Storage: Store at 46 °F to 86 °F (8 °C - 30 °C). *Please refer to product packaging for the most up-to-date information.